This post has been updated at the bottom of the page in January 2018. 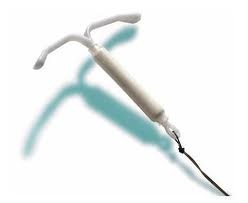 On April 8, 2013, federal lawsuits filed against Bayer over the popular Mirena intrauterine device (IUD) were consolidated in U.S. District Court in the Southern District of New York. Accusing Bayer of failing to disclose the risk of potential perforation of reproductive organs, as well as a host of other serious potential side effects, the federal cases were consolidated for the same reasons the always are: similar issues common to all of the lawsuits claim injuries from the Mirena IUD. The Mirena cases are now a “class action” for the purposes of discovery and, most likely, a few cases will be tried in the MDL. But if a settlement is not reached in the MDL for an individual case, they will get transferred out of New York and into the jurisdiction where the case would ordinarily be if it were filed a single case (most like where the plaintiff was injured). The latest update from the Judicial Panel on Multidistrict Litigation shows that 46 cases have already been transferred into the special Mirena MDL. Earlier this week, we told you that the New Jersey Supreme Court agreed to consolidate all Mirena birth control lawsuits filed in the state. The cases are being centralized as part of a Multi-County Litigation (MCL). In August 2012, when Bayer first requested to consolidate the New Jersey Mirena litigation, there were approximately sixteen lawsuits pending in the state. In March 2013, when plaintiffs filed a request to reconsider the centralization of the Mirena cases, the number of lawsuits had increased to at least sixty. Whether it be federal or state, Mirena cases are on the rise. Our lawyers anticipate hundreds more will be filed. If you or a loved one has been prescribed Mirena and developed serious injuries, including Pelvic Inflammation Disease, punctures of the uterus, infections, or significant bleeding, contact our lawyers at 1.800.553.8082, or online here. Pseudotumor cerebri or intracranial hypertension Mirena lawsuits are still ongoing. Perforation lawsuits have mostly been dismissed.